Last week I claimed my "Glad to be Globe" rewart at nuffnang office located in global city. I went there together with my partner Jac and sister Charlotte. Hitting two birds at the same time, we planned visiting the bookstore to hunt for a kris kringle gift and then proceed with another cheat date. 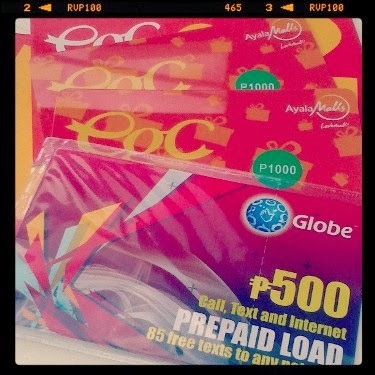 Here is my reward - thanks Globe Philippines and Nuffnang Philippines. After claiming the reward we then headed to our cheat date at Brother's burger. I was excited to try out their black angus burger with the black buns but its was not available anymore. Their burger is okay, that is from my opinion (I am not a big fan of burgers). 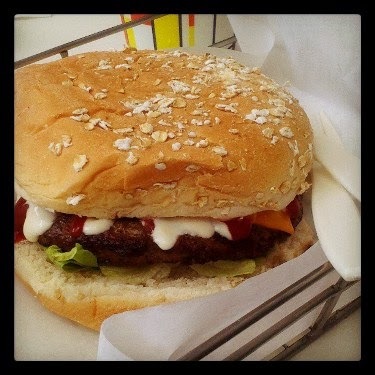 My sister and Jac who are an avid burger fans said that their Double Brothers burger of the best they have tried and says that they would surely want to comeback for another Brothers Burger date. Before going home; we walk down the highstreet going to Slice and Jamba Juice wishing to have a quick grab of sweets and refreshers but their store were jampacked so we decided to go straight to 28th St. to catch a cab. Then we passed by this beautiful mural painted wall which makes me thought of taking this OOTD. This is my less than 2k florific maxi outfit. Pre-loved dress turned Maxi skirt - P220.00, White top - P150.00, Sandals from Eastwood Shoe Bazaar - P350.00, Bag (that I've been using for 2 weeks now) P299.00 from Kultura, Shades from Heiress Shop.